Businessman Writing Notes On A Writing Pad While Sitting At His Desk Behind His New Notebook Isolated On White Background. Banco De Imagens Royalty Free, Ilustrações, Imagens E Banco De Imagens.. Image 77500978. 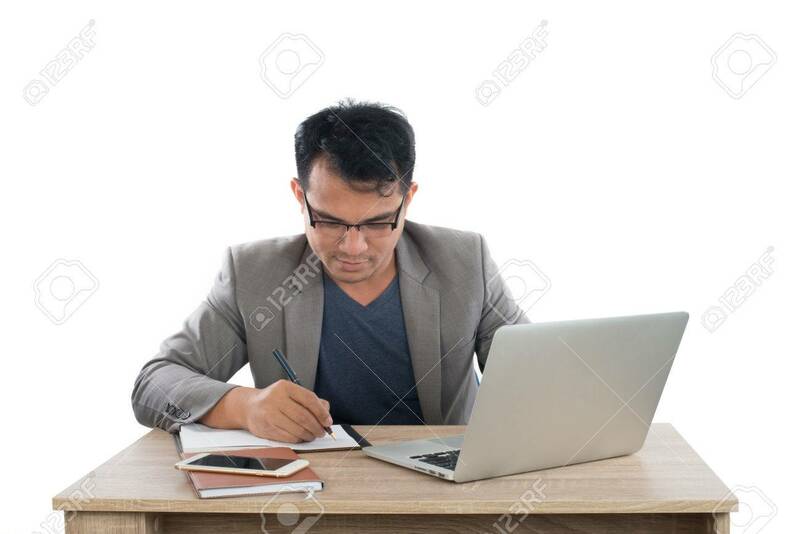 Imagens - businessman writing notes on a writing pad while sitting at his desk behind his new notebook isolated on white background. businessman writing notes on a writing pad while sitting at his desk behind his new notebook isolated on white background.